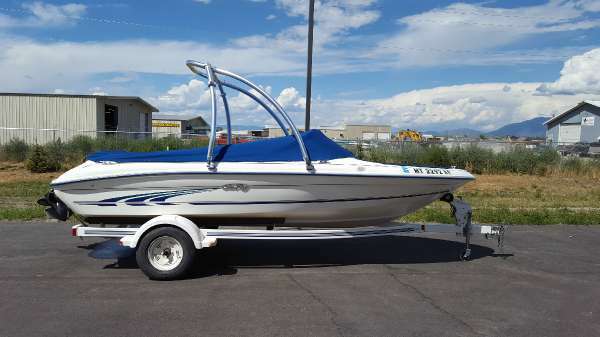 1999 Sea Ray 210 Call for details. 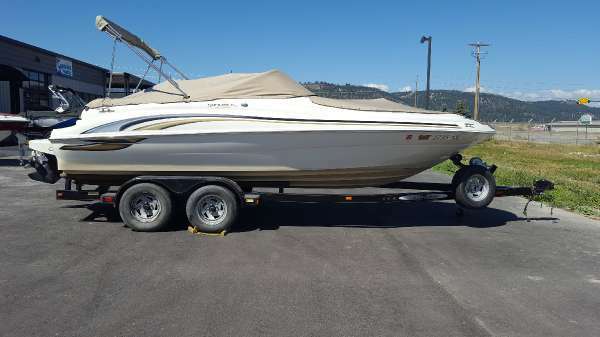 1997 Sea Ray 175 XL The Sea Ray 175 XL is the perfect cruiser for a day on the lake! 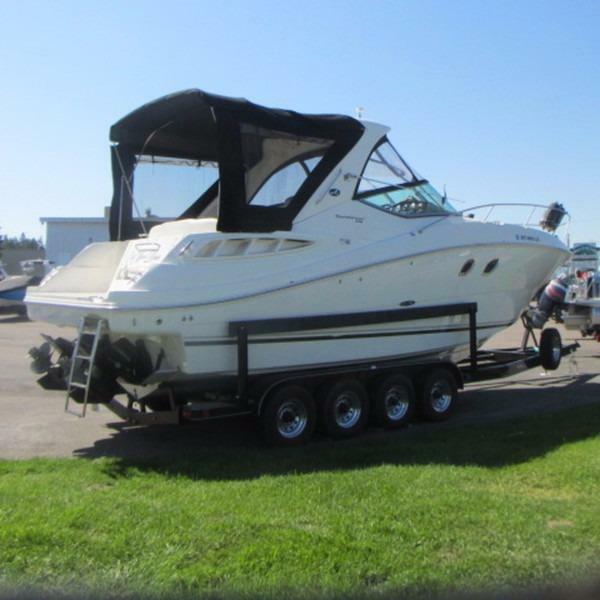 2000 Sea Ray 210 Sundeck The deep, roomy bow invites friends and family to relax and engage. Expanded storage tucks your crew’s must-haves safely away. And when it comes time to jump in the water, the huge swim platform will welcome everyone back aboard. This durable runabout isn’t just easy to maintain; it’s easy to love. - The Sundeck series lends a whole new shine to the deck boat experience, enhancing every social connection. 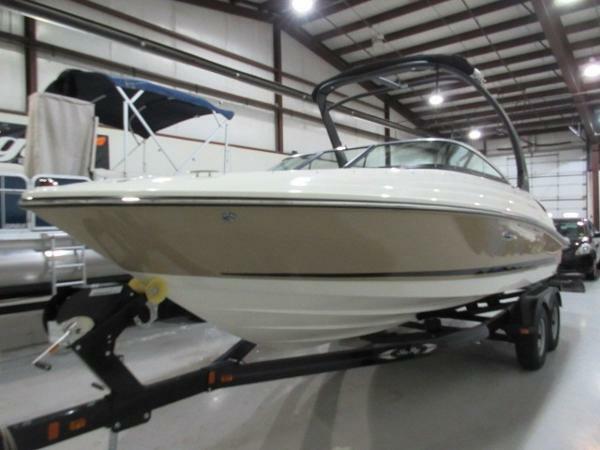 2015 Sea Ray 230 SLX 2015 Sea Ray 230 SLX There's no denying the striking looks and considerable agility of the 230 SLX. 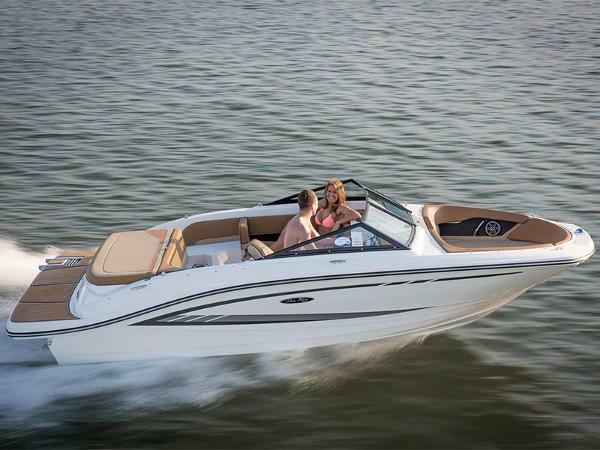 Fine details like soft upholstery and contrasting dash trim prove this is a boat with style; user-friendly features like an aft sun pad with a convertible backrest prove it's a boat with the brains to back it up. And for thrill-seekers, Sea Ray's exclusive Dynamic Running Surface™ technology means the SLX's water sports capabilities are through the roof. You might even say it's got soul. 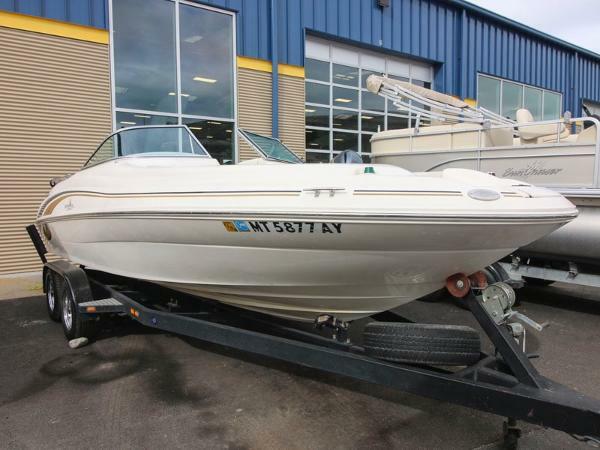 1975 Sea Ray 175 STOCK LIMITED 1975 Sea Ray 175 A great looking Classic! This beautiful classic is ready to go fishing. 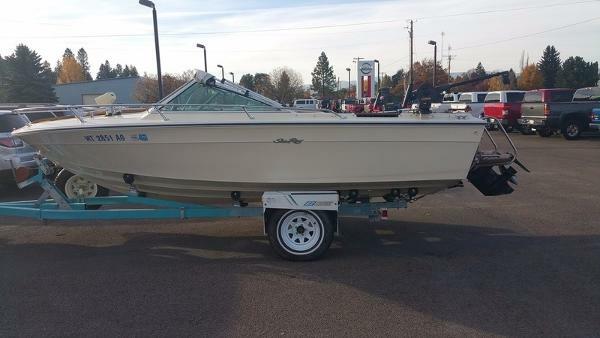 Complete with dual Bimini, fish finder, electric down riggers and CB.